You can put them on 3rd party site,and go from there. Imgur is good, as is your sketch. I like where its going. Needs a little more on the tank side to clearly show its origins. I am assuming this is a KT or a JT so it fits with the Spooky German Helmet and evil villain caricature which gives it a very dark connotation which is nice. Good Job, you have talent, I'm confined to an etcha sketch! 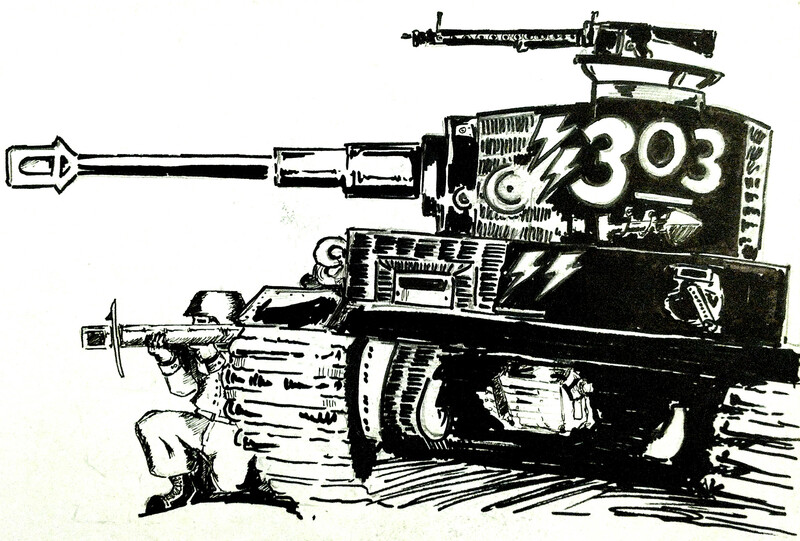 The Tank was a T55 AMV (from memory), The person was actually meant to be halfway between tank girl and fear and loathing in las vegas. WOT Asia / Australasia Language Based Communities → English Speaking Community → Events, Contests, and Competitive Gaming → Art contests?